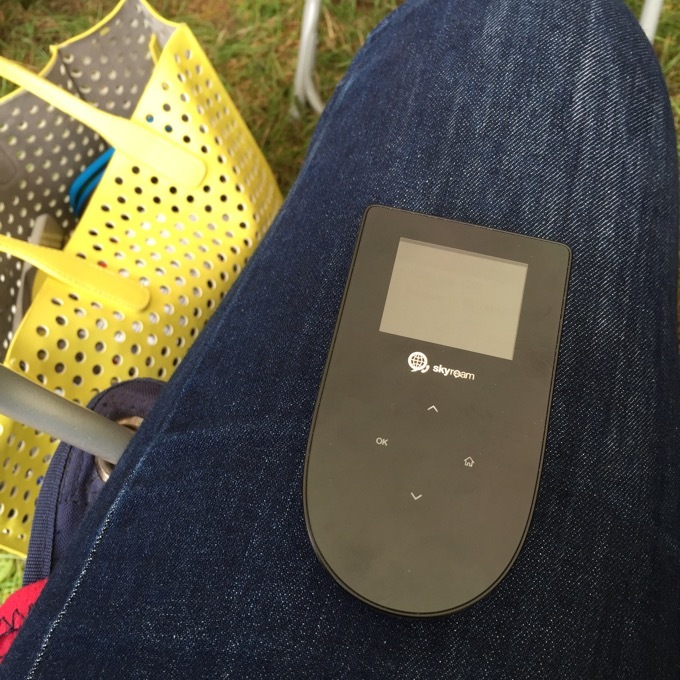 At Blogstock Festival Penny met the people behind TEP wireless, portable wifi for smartphones, laptops and tablets. We’re really pleased to share they have some free wifi rentals for our readers too. ‘Free wifi?’ I hear you all cry! As someone who travels a lot, with a family who increasingly want to be connected too, TEP is an interesting proposition. Wifi on holiday is essential to me doing my job, but increasingly wifi on holiday is essential for non bloggers too, my husband also runs his own business, having wifi means he is prepared to travel more. While I think it is important to have time without wifi on holiday, I also know wifi means the kids give us a little break here and there. 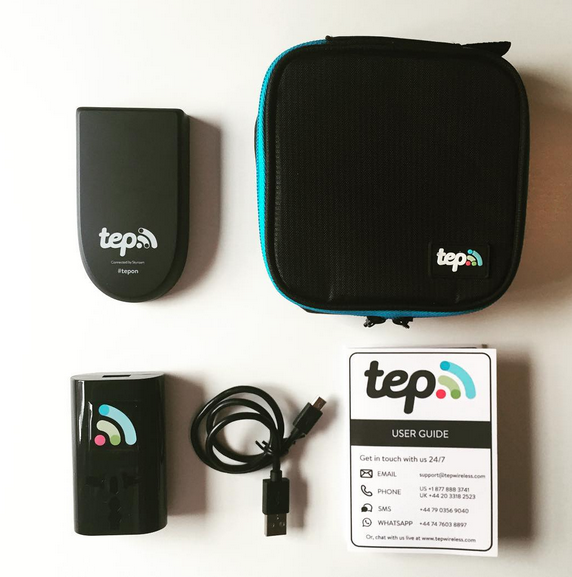 Tep is a handheld device which provides you with wireless internet access anywhere in Europe, you rent a device and it is posted to you, or can even be collected at the airport. It works just like any other WiFi hotspot – but it’s personal and fits in your pocket. It connects up to 5 devices at once, within a 15 metre radius, which makes it great for families. No scrabbling round for wifi or data roaming charges. Tep costs £6.50 a day to rent. Over the holidays my husband and I were paying £2 each a day to get data in Europe via our phones, so the financial gain isn’t huge in Europe, but the advantage of the TEP is you can also connect the rest of the family, or multiple devices with no data limit or caps and no hassle, for a family of four that quickly becomes a saving. TEP provided the wifi for us at Blogstock, handy in a remote field! Of course, although I like to think TEP is magic, TEP works on phone networks too, so you need to check coverage for the area you are travelling to. I also found TEP handy on the train to the airport, where paying for wifi is a protracted log in process, and the multi country charger came in very handy when I needed to charge my phone on a cruise ship with US plugs! The device has 8 hours charge and comes with it’s own charger, user guide and case. I got it working on my own in under 5 minutes, which is great for not so technical me. Tep really came into its own outside the EU, on a press trip in Turkey, where my O2 data would be £6 a MB or a £120 bolt on capped at 200MB. 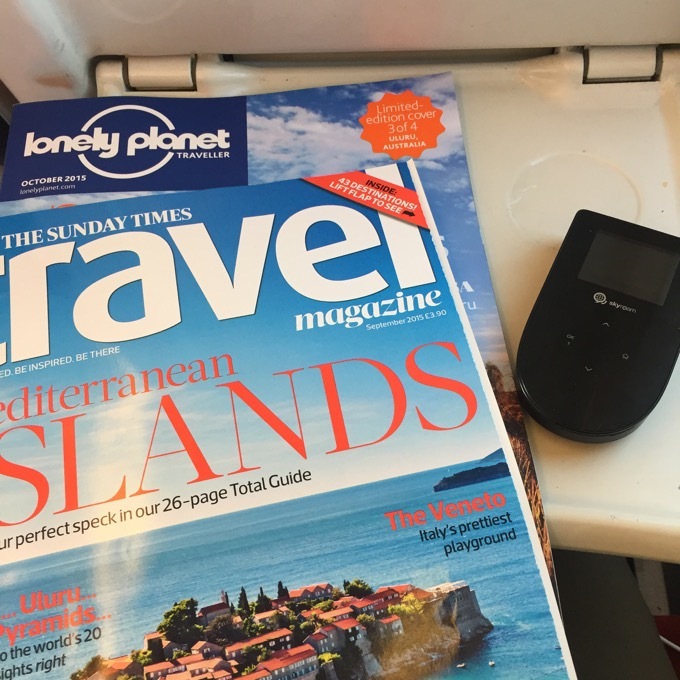 Having a TEP allowed me, and the other 3 journalists I was on a Sensatori Resort press trip with, to share social updates from a boat, a jeep and a cabana on the beach, all for the bargain price of £6.50 a day. PR companies could rent them for press trips, such a great way to ensure coverage in both senses of the word! You can search to find which countries are covered here and Tep pride themselves on being fair on refunds if the device doesn’t work. A Tep is also a great thing to have if you are moving house and waiting for internet to be set up. We have two prizes of TEP wireless rental for your next holiday, Tep are offering up to two week’s rental to each winner which is worth £100 per prize. Just let us know why wifi matters to your family on holiday, in a blog comment and share the tweet in the rafflecopter. Then just complete the rafflecopter to register your entry and gain additional entries. Need to check my competitons of course! So I can post my holiday photos and make my friends jealous! Helps to keep the ‘family’ business going whilst on holiday – sad I know! Concordo inttarimenee com o Joaquim.Eu jÃ¡ assinei a petiÃ§Ã£o mas nÃ£o me fiquei por aÃ­. Enviei mesmo um email para o DE a dar-lhes os parabÃ©ns pela iniciativa. I would like wifi on holiday so that when we both want a lie in we can pop some children’s cartoons on our phones or iPad and get a little sleep. It means the kids can keep in contact with their friends so they don’t feel like they are missing out on the gossip! I use it to keep up with the news and keep a check on my personal emails. My son uses it to play games before we go out for the day and he and my hubby watch music videos as part of the bedtime routine. To post my holiday photos online for my friends to see. I don't trust any of the religious leaders of any religion because as far as I can see all of them allow thmeselves be put on a pedastal looking down on everyone else. Just useful for checking info on attractions and uploading photos/video so I can take more. Congrats on making that top blogger list from Nursing. I have used that list in the past-it is great!! So, nice honor for you! Love the store windows. Looking at them makes me yearn for Christmas! I use it to check my banking and flight times without having to log in to a public pc. We love to keep up on the local news. One of these came in so handy when I was on a press trip recently. They are fab! So many advantages, but for me personally, one of my own would mean I could keep my blog updated whilst travelling and share my adventures on social media. For us as a family whilst on holiday, well, it would mean we could have a little lie in whilst the kids watch cbbc on line, or allow us to use google to find the best places to explore and eat (and drink of course!). We are both self employed and need to keep on top of clients – unfortunately you never really get a proper holiday. Wifi matters to me for our girl with autism; having screen time is actually a good way for her to de-stress as she struggles with many other traditional activities. So we wouldn’t go on holiday without it, and this would give us access to other places we’ve not considered before! 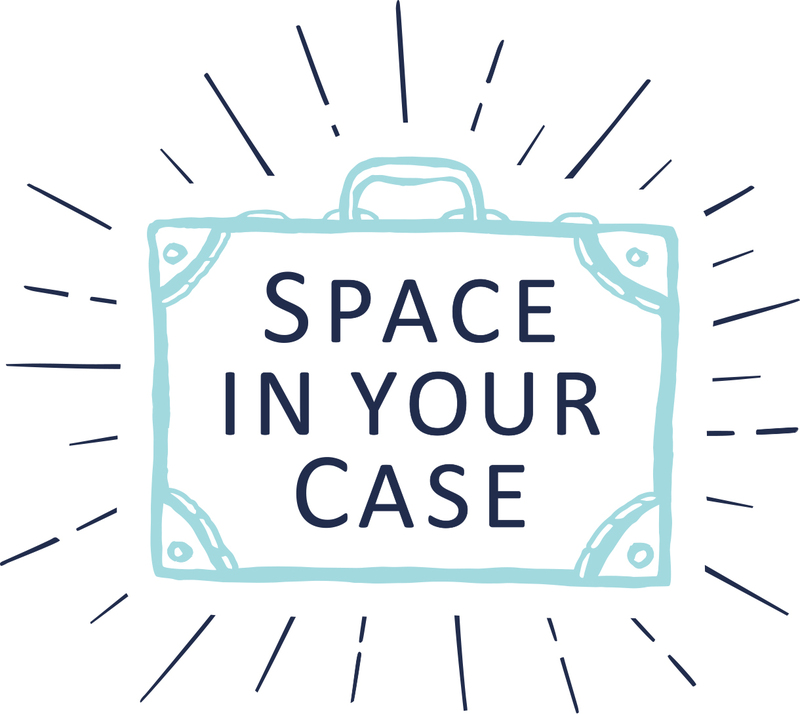 To login to the airline or trains for seat bookings . Muslim hate crimes are the elephant in the room of tolerance. We can't talk about them, because they're not supposed to exist. The narrative is that Muslims are victims, not perpetrators.Melanie Phillips in one of her articleswroteThe Arabs brilliantly reconfigured the Arab war of extermination against Israel as the oppression by Israel of the Palestinians.and as one can see, the Muslims have done the same thing by reconfiguring "Western" thinking. Wifi matters to me because I like to stay in touch with those that aren’t with me! WiFi matter to my family on holiday because it helps us to find out about bus station, cafe, hotel, best things to do, public parks or other public areas, bars and restaurants on the holiday. We can also update our holiday photos and share it with friend and family. To look on tripadvisor and the like for reviews of where to go. It is great for keeping everyone entertained in the evenings and uploading those snaps when the camera is full! To keep in touch with everyone at home! Need to check my competitions ! Aw, this was an extremely good post. Spending some time and actual effort to produce a very good articleâ€¦ but what can I sayâ€¦ I hesitate a whole lot and do#218&n7;t manage to get nearly anything done. It’s really nice to relax in the evening with a nice film via wifi! Ã… sÃ¥ heldig du er, som har en mann som har skjÃ¸nnt det:o)Min skulle nok ha gÃ¥tt i et lite kurs hos din;o)Gleder meg til Ã¥ se hva du lae)e:orHÃ¥pgr du og dine har en fin helg!